As I've just recently come back from a hot country, I thought I'd let you know which products I found myself reaching for. I walked around bare faced for the majority of my trip as I really couldn't deal with the heat. To be honest, wearing makeup in that country is quite pointless. On the rare occasion, say, going out for dinner for example or heading into the main town, I did feel the need to make some sort of effort. Though I did pack more products, I didn't use them. However, the products below are what I found myself picking out on those days. 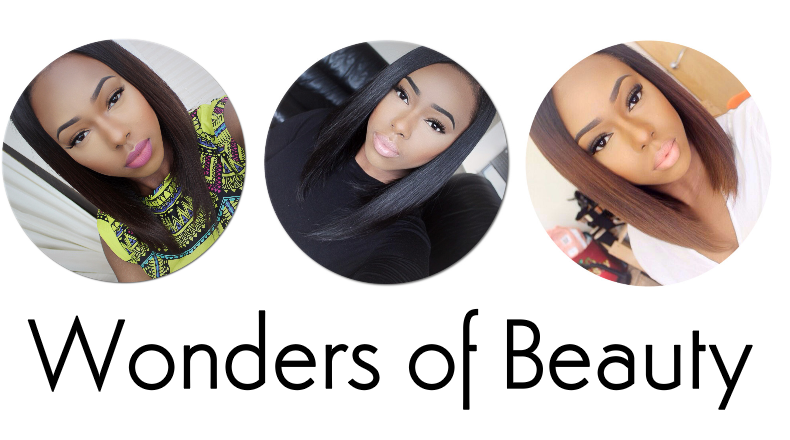 It's a beautiful bronze with shimmer that can be used on the face or body. On my way to Morocco, I used it as a cheek highlight but since I wasn't wearing makeup whilst I was there, I used it as a body shimmer instead. It gives your skin a beautiful sunkissed glow. Perfect for those days when you're wearing strapless tops! I believe it comes in about 3 shades. Erzule is the darkest out of the range but definitely check them out! Though I think I made the mistake of buying the wrong shade of this powder, it is of great use now that I'm darker. On the days where I was getting bored of showing Morocco my bare face, I decided to use this powder. Please believe that it has an amazing coverage and for those of you who don't like liquid foundation, this is a great powder to use. It stayed on through the sweltering heat and even when I thought I had sweat it all off, when I looked in the mirror, it was still there! 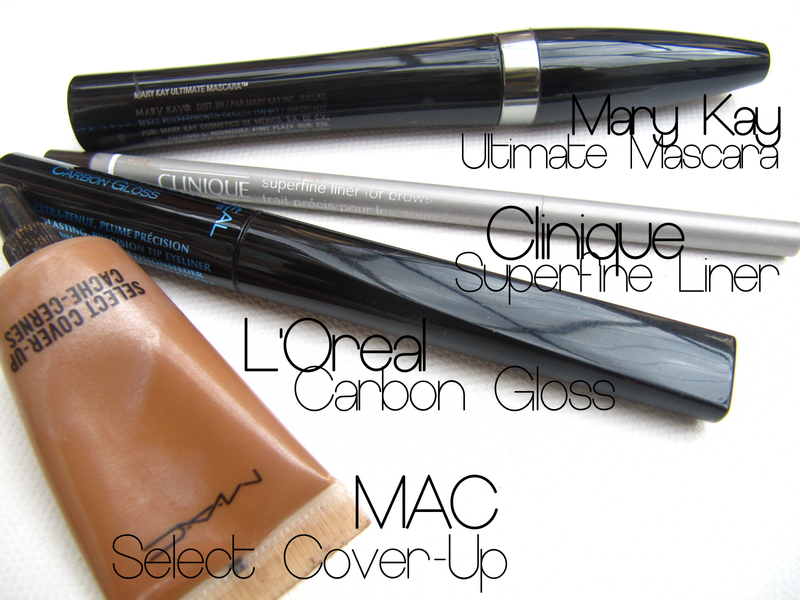 I very rarely used the MAC Select Cover-Up, I probably only used it like once but I thought I would mention it anyway. Whilst I'm in England, I don't normally use concealer on my face since my foundation usually does what it's supposed to but since I was foundation free this holiday, this was used just to cover any marks. The other products pictured above are just your regular liquid eyeliner, mascara and eyebrow pencil. 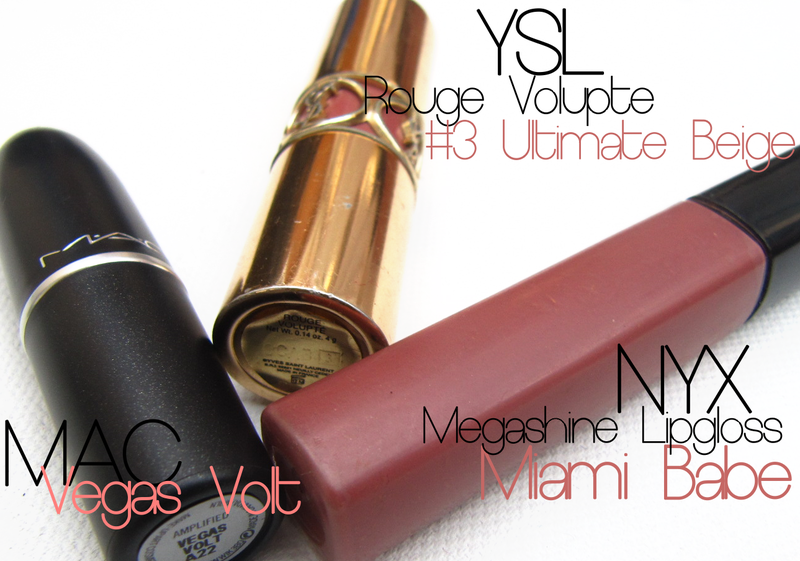 As for lip products, aside my chapstick which I forgot to photograph, these are the only products I reached out for. In fact, I used the NYX Megashine lipgloss everyday. 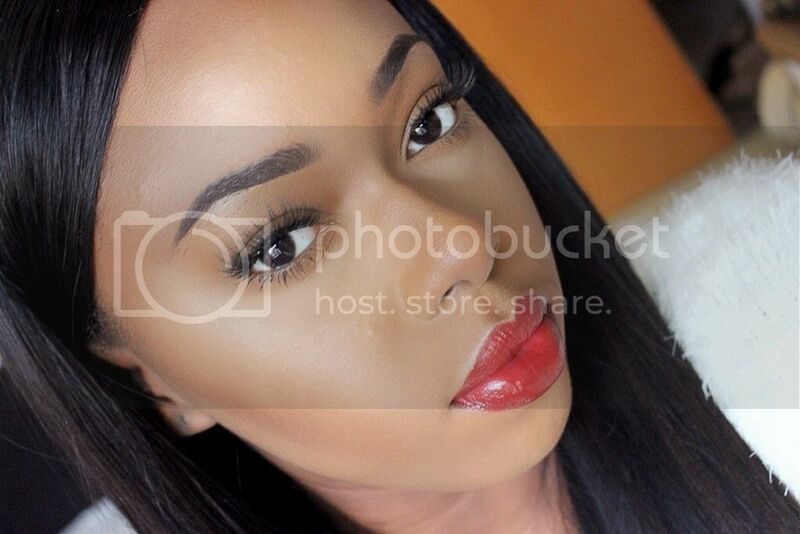 I think it's my favourite shade out of all the ones I own (click HERE to see my NYX Megashine lipgloss Collection). Occasionally, I would wear the YSL Rouge Volupte lipstick (click HERE for a swatch) underneath the NYX gloss as both shades complement each other. What do you think of my holiday picks? 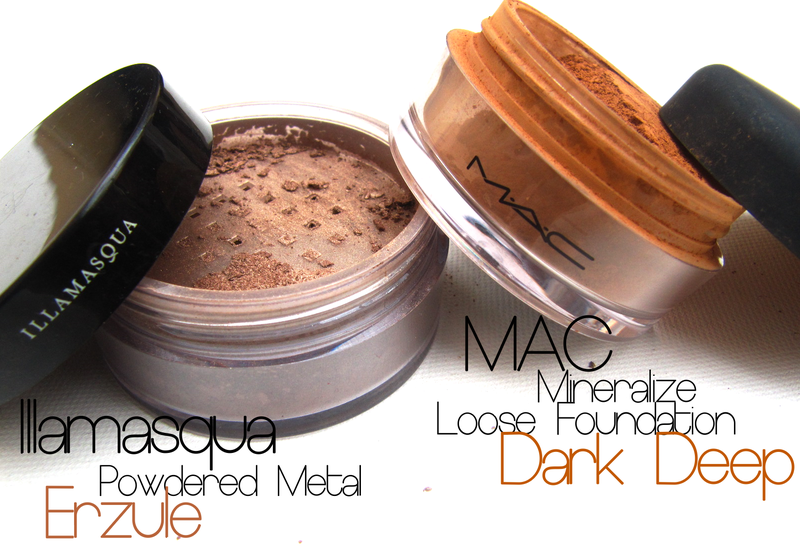 Does anyone else own the Illamasqua Powdered Metal or has tried the MAC Mineralize Loose Powder?